Stand out from the 152 candidates in the nation. WHO IS THE MOST CLOSEST TO YOUR HEART? The ORALPEACE PROJECT was initiated by the love towards family and society. The founder’s father of OralPeace Project was deeply troubled by several oral issues during the illness of cancer. He wanted to provide a safe and effective oral care product for his father. 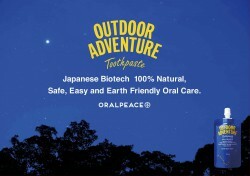 With the efforts and assistance of many professionals, the OralPeace Project was launched in Japan in year 2013. The OralPeace Project hopes to bring health and happiness to you and your family in your daily life. We also hope to pass on love for family and society around the world. We are a bioventure business that has opened the gateway for the use of a lactobacillus-derived natural antimicrobial peptide, “Bacteriocin,” in medical and health care. 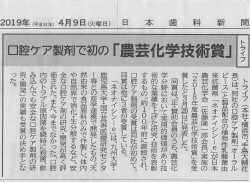 It was created as a result of lactobacillus research and a biotechnology technique of Japanese origin by industry-university cooperation with Kyushu University, etc. We are a social venture aiming at the development of an oral care product that is human- and environment-friendly, adjusts the intraoral environment from infants to elderly people around the world by providing oral care, prolonging a healthy life expectancy by reducing the risk of caries, periodontal disease, oral candidiasis, death due to aspiration pneumonia and the onset of dementia, and reduces nursing costs, which are continuously increasing to over 9 trillion yen per year in Japan and the daily burden on caregivers in the present aging population through cooperation among researchers, clinicians, technicians, the government, etc., while also taking on the challenge of trying to resolve social issues such as the creation of jobs for people with disabilities and a low income nationwide through this business. 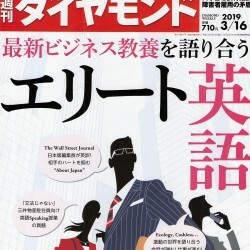 We will expand the effort of this bio-social venture from Japan, the representative of aging countries, to the world.